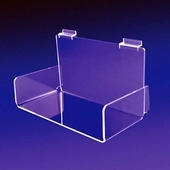 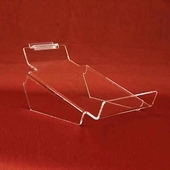 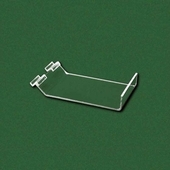 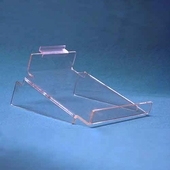 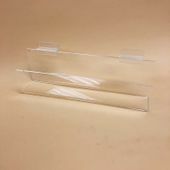 Acrylic shelves for slatwall offers the elegance of glass, with the economical cost of acrylic. 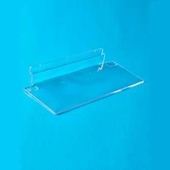 Acrylic slatwall accessories that are great for your retail store. 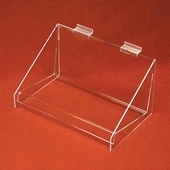 We have acrylic shelving for slatwall to display all of your merchandise in a large variety of sizes. 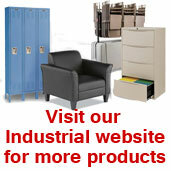 Same day shipping available when in stock. 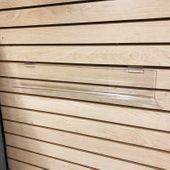 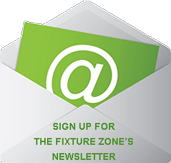 A different option to use instead of slatwall shelf brackets and glass shelves. 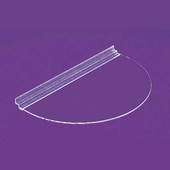 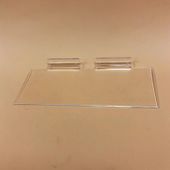 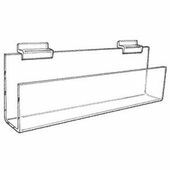 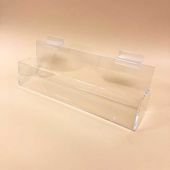 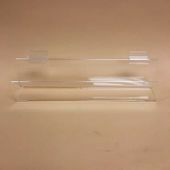 Slatwall Acrylic Open-End Flat-Bottom J-Shelf 12"
Slatwall Acrylic Open-End Flat-Bottom J-Shelf 18"
Slatwall Acrylic Open-End Flat-Bottom J-Shelf 24"